Did you know that more than 18 million Americans (6.2%of the total population) are affected by sleep apnea, and yet it still remains one of the most undiagnosed health conditions? Statistics reveal that 2% to 4% of all Americans have undiagnosed sleep apnea. We’re talking about 1 in 50 people! In this article you’ll learn the most common symptoms of sleep apnea, so you can figure out if you have the condition. But first, do you know what the major kinds of sleep apnea are? Before jumping into the most common symptoms of sleep apnea, it’s important to know the three main types of sleep apnea: obstructive, central and mixed. Obstructive sleep apnea is more common than the other two types, affecting nearly 70% of all patients diagnosed with the condition. The three types have different origins and subsequently have different sets of symptoms. Before learning about the different types, let us look at the physiological aspect of the primary disorder – sleep apnea. Sleep apnea is a disorder arising primarily out of a break in coordination and communication between your brain and breathing muscles. During the normal course of events, the brain sends out timely signals for breathing. Breathing muscles capture such signals and perform necessary actions. Sleep apnea happens if there is a complete break – or bad connection – between the two. Obstructive sleep apnea happens when the breathing muscles are able to receive the brain signals but are unable to act upon them, because of a complete collapse or blockage in the upper airway tract. 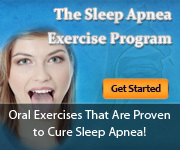 Central sleep apnea is usually a fallout of certain pre-existing health disorders. It happens when the brain is incapable of sending out any signal. Thus, there is no breathing effort. This condition may co-exist with obstructive sleep apnea, but may also be a stand-alone illness. The third type of sleep apnea – mixed sleep apnea – is rare, and is a combination of both these types of apnea. Now let’s turn to the symptoms of each. Loud and persistent snoring that does not respond to any usual snoring remedy. Intermittent periods of silence between snoring. During such periods of silence, it appears that you have stopped breathing. Periodic choking and gasps for air during sleep. Excessive sleepiness during the day. This symptom will help you to determine if you simply have a snoring problem, or if you have sleep apnea. Snoring will not cause you to be excessively tired during the day, because it does not interfere with the quality of your sleep. Sleep apnea does worsen the quality of your sleep, however, because it prevents oxygen from entering your body while asleep. The result is sleepiness during the day. As described above, central sleep apnea if fundamentally different from obstructive sleep apnea. Obstructive apnea is often caused by weak muscles and/or lots of flabby tissue in a person’s upper airway. Central apnea is a neurological disorder in which the brain fails to send signals to the body to breathe. The symptoms of this kind of sleep disorder are similar to obstructive apnea: excessive tiredness and fatigue during the day; headaches; and restlessness during sleep. So who is most likely to develop sleep apnea? Let’s jump into that topic next. Who Is Most Likely to Develop Sleep Apnea? Official statistics show that sleep apnea symptoms in men tend to show more in those who are obese, over 50 years of age, and who are loud and persistent snorers. Such men are prone to be affected with obstructive sleep apnea – affecting 70% of all patients. 50% of this group invariably have heart problems. Close to 60% end up having strokes. Men who suffer from OSA also have increased risk of congestive heart failure (2.3 times more than a healthy person). More than half of those diagnosed with this condition are obese. Adults who have smaller and narrower airways of the nose, throat and mouth run a greater risk of contracting this disorder. Certain lifestyle factors also contribute to the onset. These include smoking and excessive consumption of alcohol. Diabetes and high blood pressure are known risk factors for both men and women. Allergic reaction to certain medications could also trigger OSA symptoms. Sleep apnea symptoms in women are less common in comparison to men. This group often shows signs of obstructive sleep apnea during pregnancy or after menopause. The nature of obstruction, how it is diagnosed, and treatment types are often different for children. This sleep disorder is increasingly recognized as a primary cause of daytime inattentiveness and other behavioral problems in children. One of the important features of this condition when it affects children is that recognizing it is tougher than in adults, who are invariably obese and frequently wake up during sleep. Though snoring is a common sign, it is also true that 10 to 20% of children snore regularly or intermittently. Various cognitive as well as behavioral problems, including poor attention, aggressive behavior, hyperactivity, etc. Which Children are More at Risk of Getting Sleep Apnea? Medical conditions including Down syndrome, disorders of the neuromuscular and central nervous system, craniofacial abnormalities like Pierre Robin sequence, Treacher Collins syndrome and Crouzon syndrome. If you’re already experiencing some of the sleep apnea symptoms, your next step is to get a test for apnea. Before addressing the “how”, it’s important to understand the reason why you should test for apnea. There are many reasons people lose sleep, including job and relationship stress, physical ailments, and even a poor sleeping environment. Sleep deprivation creates fatigue, and reduces your ability to do everyday functions. More importantly, there are many additional short and long term sleep apnea effects. If you think you might have sleep apnea, it is important to confirm that you have the condition. Tests for apnea can range from something as simple as answering a few questions online regarding your daily habits and experiences, to doing an overnight “study” to test for apnea.